It doesn’t get you high, but it’s causing quite a buzz among medical scientists and patients. The past year has seen a surge of interest in marijuana’s CBD, a non-intoxicating cannabis compound with significant therapeutic properties. 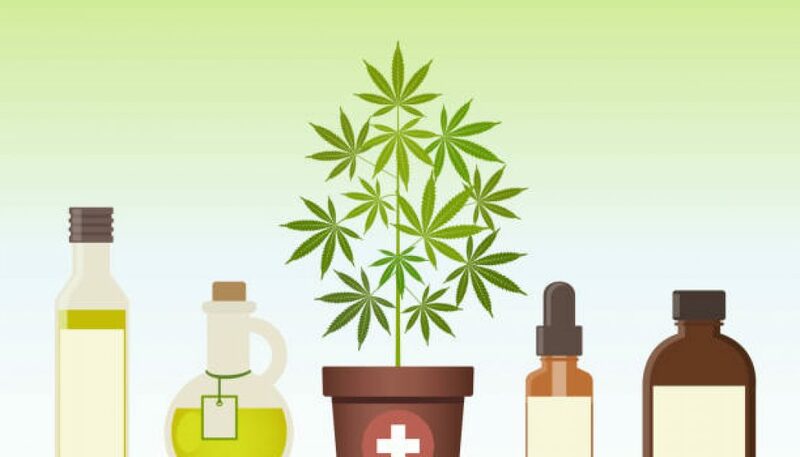 Numerous commercial start-ups and internet retailers have jumped on the CBD bandwagon, touting CBD derived from industrial hemp as the next big thing, a miracle oil that can shrink tumors, quell seizures, and ease chronic pain — without making people feel “stoned.” But along with a growing awareness of cannabidiol as a potential health aid there has been a proliferation of misconceptions about CBD. The drug warrior’s strategic retreat: Give ground on CBD while continuing to demonize THC. Diehard marijuana prohibitionists are exploiting the good news about CBD to further stigmatize high-THC cannabis, casting tetrahydrocannabinol as the bad cannabinoid, whereas CBD is framed as the good cannabinoid. Why? Because CBD doesn’t make you high like THCdoes. THC and CBD are the power couple of cannabis compounds — they work best together. Scientific studies have established that CBD and THC interact synergistically to enhance each other’s therapeutic effects. British researchers have shown that CBDpotentiates THC’s anti-inflammatory properties in an animal model of colitis. Scientists at the California Pacific Medical Center in San Francisco determined that a combination of CBDand THC has a more potent anti-tumoral effect than either compound alone when tested on brain cancer and breast cancer cell lines. And extensive clinical research has demonstrated that CBD combined with THC is more beneficial for neuropathic pain than either compound as a single molecule. According to politically correct drug war catechism, the marijuana high is an unwanted side effect. Big Pharma is keen on synthesizing medically active marijuana-like molecules that don’t make people high — although it’s not obvious why mild euphoric feelings are intrinsically negative for a sick person or a healthy person, for that matter. In ancient Greece, the word euphoria meant “having health,” a state of well-being. The euphoric qualities of cannabis, far from being an unwholesome side effect, are deeply implicated in the therapeutic value of the plant. Purveyors of imported, CBD-infused hemp oil claim it’s legal to market their wares anywhere in the United States as long as the oil contains less than 0.3 percent THC. Actually, it’s not so simple. Federal law prohibits U.S. farmers from growing hemp as a commercial crop, but the sale of imported, low-THC, industrial hemp products is permitted in the United States as long as these products are derived from the seed or stalk of the plant, not from the leaves and flowers. Here’s the catch: Cannabidiol can’t be pressed or extracted from hempseed. CBD can be extracted from the flower, leaves, and, only to a very minor extent, from the stalk of the hemp plant. Hemp oil start-ups lack credibility when they say their CBDcomes from hempseed and stalk. But a CBD-rich remedy with little THC doesn’t work for everyone. Parents of epileptic children have found that adding some THC (or THCA, the raw unheated version of THC) helps with seizure control in many instances. For some epileptics, THC-dominant strains are more effective than CBD-rich products. Yes it does matter. The flower-tops and leaves of some industrial hemp strains may be a viable source of CBD(legal issues notwithstanding), but hemp is by no means an optimal source of cannabidiol. Industrial hemp typically contains far less cannabidiol than CBD-rich cannabis. Huge amounts of industrial hemp are required to extract a small amount of CBD, thereby raising the risk of toxic contaminants because hemp is a “bio-accumulator” that draws heavy metals from the soil. Single-molecule CBD synthesized in a lab or extracted and refined from industrial hemp lacks critical medicinal terpenes and secondary cannabinoids found in cannabis strains. These compounds interact with CBD and THC to enhance their therapeutic benefits.